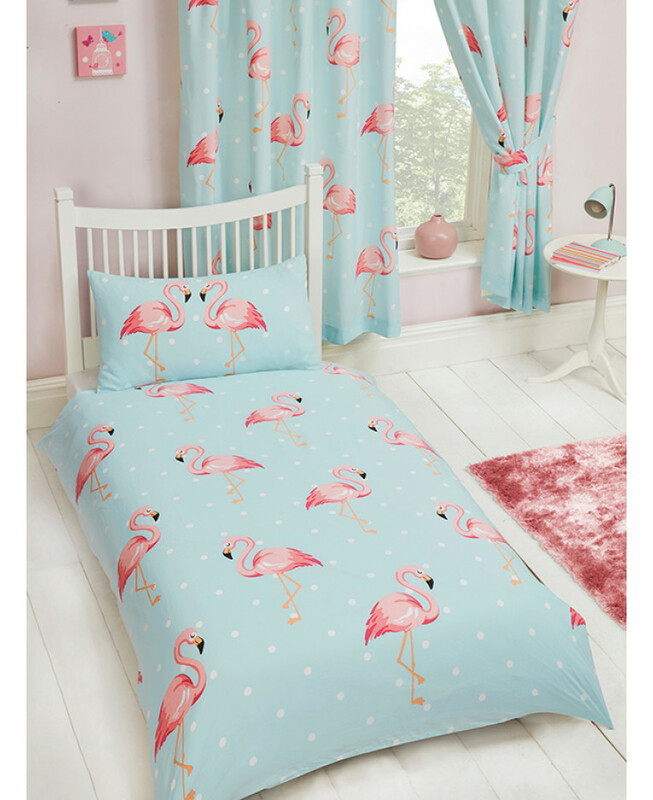 The Fifi Flamingo Single Duvet Cover and Pillowcase Set offers a chic and stylish finishing touch to your little ones bedroom. 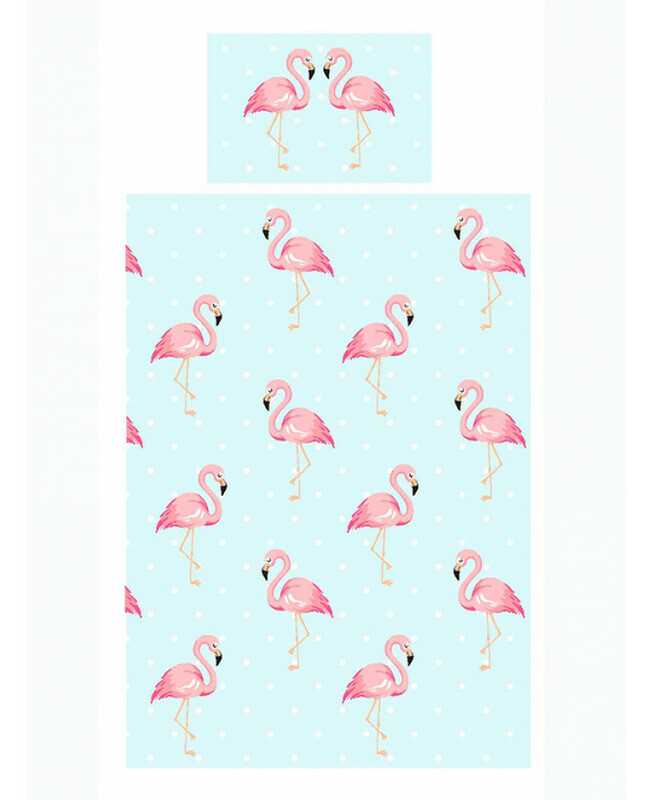 The design features on-trend coral pink flamingos on a complimentary pale turquoise blue and white polka dot themed background. Made from Easycare material, the polycotton bedding set is suitable for machine washing and tumble drying on a low setting. 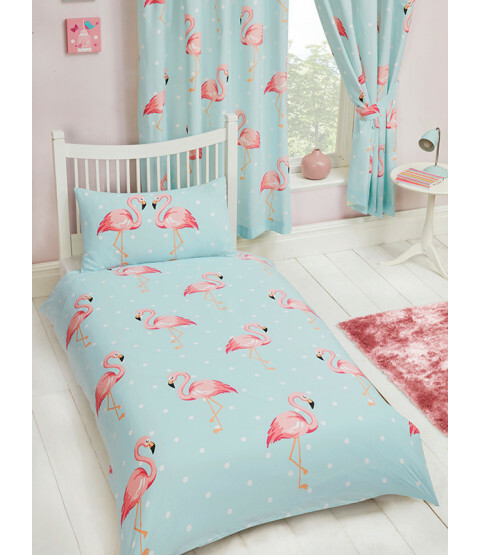 Matching curtains are also available to complete the look.